Thamil Makkal Viduthalaip Puligal(TMVP)leader Sivanesathurai Chandrakanthan alias “Pillaiyaan” is currently being detained and interrogated by the Police over his suspected involvement in the twin assassinations of Tamil National Alliance(TNA) Parliamentarians Joseph Pararajasingham and Nadarajah Raviraj in December 2005 and November 2006 respectively. Chandrakanthan who made history in 2008 as the first elected chief minister of the Eastern province is presently a member of the Eastern provincial council. He also contested the August 2015 Parliamentary poll on the United Peoples Freedom Alliance (UPFA) ticket and lost. Chandrakanthan alias Pillaiyaan is reportedly in hot water after two of his erstwhile deputies Edwin Silva Krishnanandaraja alias Pradeep Master and Rangasami Kanaganayagam alias ‘Gajan Maamaa’ were earlier taken into custody over the Pararajasingham assassination. They were detained on a 90 day detention order issued under the Prevention of Terrorism Act (PTA). Apparently during interrogation, they pointed the finger at Pillaiyaan as their “boss” at the time Pararajasingham was killed. Both Pradeep master and Gajan Maamaa are estranged from Pillaiyaan now. On another level, investigations had commenced into the killing of former TNA Jaffna district MP Nadarajah Raviraj also. Evidence unearthed during the probe linked Pillaiyaan also to the killing.Consequent investigations revealed that the suspected chief assassin of Raviraj, a naval officer had allegedly been given a firearm by a member of the TMVP named Vivekananda Shivakanthan alias “Charan” . The firearm used in the Colombo killing had been given to Charan by Chandrakanthan alias Pillaiyaan himself. 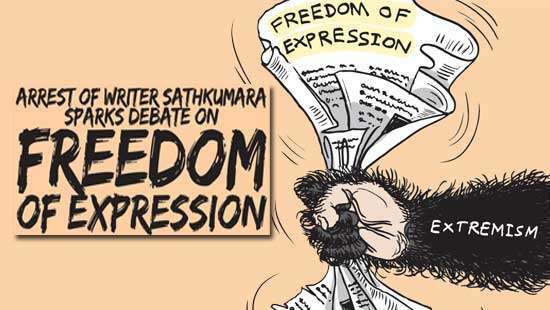 It is purported that Pillaiyaan had been issued the firearm by a military colonel now in custody over the disappearance of journalist Prageeth Eknaligoda. Charan is supposedly in Europe now and the services of Interpol have been requested to track him down. Meanwhile Chandrakanthan alias Pillaiyaan was taken into custody after a detention order was issued under the Prevention of Terrorism Act (PTA). Immediately after Pillaiyaan’s detention ,his political aides from the TMVO conducted media conferences to express Chandrakanthan’s innocence and express the view that the ex-chief minister would soon be set free.TMVP secretary P. Prashanthan made it a point to emphasise that Pillaiyaan’s detention was not in connection with the Joseph Pararajasingham assassination. Initially a team of Police officers had gone to Batticaloa to arrest Pillaiyaan. His family however said that Pillaiyaan was not at home though his vehicle was seen parked on the premises. The Police then informed the family that Pillaiyaan was to present himself to the Police in Colombo on Sunday October 11th. The ex – chief minister who was at one time in charge of law and order in the eastern province adhered to the Police summons and presented himself accordingly. He was accompanied by a lawyer. The Police however took him into custody under a 72 hour detention order issued under the PTA. After interrogation for three days the Police produced ex – chief minister Sivanesathurai Chandrakanthan in courts on Wednesday October 14th before Colombo chief magistrate Gihan Pilapitiya and sought more time to keep the suspect in custody and question him further regarding the Pararajasingham murder.The chief magistrate then ordered that the Police be allowed to detain Chandrakanthan and interrogate him for a further period of three weeks until November 4th. Media persons gathered around when a handcuffed ex-chief minister was led out by the Police. An unfazed Pillaiyaan raised his manacled hands and told the photographers with a smile “ Nalla Padameduthu athai kondu poi TNA kaarangalitte Kaatungo. Avangalukku Santhoshamaayirukkum” (Take a good picture and show the TNA fellows. They will be happy). It would be too early to speculate on how the investigations would proceed and what the final outcome could be. This is a time when the state of Sri Lanka’s judiciary, law and order apparatus and security structures have come under huge criticism internationally. 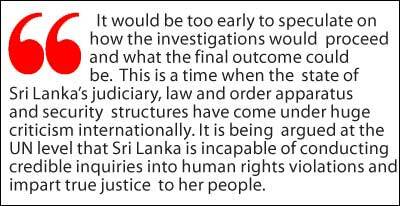 It is being argued at the UN level that Sri Lanka is incapable of conducting credible inquiries into human rights violations and impart true justice to her people. The unlawful killings of the two MP’s remain unsolved even after nine years. The new dispensation under President Maithripala Sirisena and Prime minister Ranil Wickremesinghe could demonstrate to the international community that the country is capable of conducting impartial probes and meting out justice by ensuring proper investigation and prosecution of the killers of Pararajasingham and Raviraj. The fact that the investigations into the killings were re-activated after the new government took office augurs well for the future. What is however noteworthy about both assassinations is the fact that neither the Pararajasingham nor Raviraj killings could have been perpetrated without being instigated ,aided and abetted by higher authorities. It has been alleged that the TMVP which broke away from the Liberation Tigers of Tamil Eelam (LTTE) under the eastern tiger commander Vinayagamoorthy Muraleetharan alias “Karuna” was utilised by the powers that would be to combat the tigers via unorthodox means.The TNA dubbed as “Tiger Nominated Agents” by the likes of Eelam Peoples Democratic Party (EPDP) leader Douglas Devananda was perceived by security circles as puppets of the LTTE. Many suspected tigers or tiger supporters were killed during the war as part of an “officially sanctioned unofficial executions”campaign. It is strongly suspected that the TMVP popularly known as the Karuna faction was an integral component of this campaign.An independent, impartial investigation has to ascertain whether the assassinations of Raviraj and Pararajasingham were part of that deliberate campaign or whether the assassins were acting on their own. The manner and mode in which the killings were done and the fact that no effective probe into the murders were conducted until regime change in 2015 may provide clear pointers in this regard. Joseph Pararajasingham was a devout Catholic. The parliamentarian’s death was due to a murder most foul as he was was shot within St.Mary’s Cathedral precincts during midnight mass on Christmas eve in the presence of Bishop Kingsley Swampillai and other members of the congregation. Joseph had come to Batticaloa from Colombo weeks before Christmas and was staying in his hometown.The family always attended midnight mass for Christmas. Joseph with wife Sugunam (nee David) had gone to church at about 10. 30 p.m. though the service was to begin at 11. 30 p.m.. Finding the church virtually deserted they had turned back but returned in a few minutes after the arrival of Sugunam’s brother, Robin’s family. The assassins had first arrived at the St. Anthony’s Church in close proximity to the St. Mary’s Cathedral. They had discarded their military fatigues inside the vestry and moved out quietly in civilian dress. They were tall and darkish in complexion. According to church-goers they had not seen them before. Moving into the cathedral compound through a side gate they had entered through one of the side entrances to the cathedral at the front. This was when the Pararajasinghams with some others were kneeling at the altar for bread and wine. The choir had full view of the assassins but did not suspect anything at that time. Even as Joseph got up the assassins moved closer to the altar and the Bishop. Sugunam got up a few seconds later. Joseph who had started returning to his pew paused and turned halfway to allow Sugunam to precede him. It was at this point that the assassins started firing. The congregation, choir and clergy including Bishop Swampillai dived to the floor in panic. Joseph fell down. It is believed he was killed instantly. He had been hit nine times . Sugunam and seven others were injured in the firing. The assassins then walked down the aisle firing away in the air. According to some reports they clambered over a wall and got into a waiting three- wheeler which headed out to the security camp located at an old toothpowder factory premises. Other reports said the vehicle was a white van. The “Palpodi” (toothpowder) camp as it is known was then used as the operational safe house of the Karuna faction in Batticaloa town. Pararajasingham had five police bodyguards with him at the time of the incident. They were relatively new to the task as the old group of experienced bodyguards had been replaced a few weeks earlier.The Police bodyguards were standing outside the church with one of them popping in every five minutes to check whether the MP was safe. When the shooting took place,none of the bodyguards fired back at the assassins. Their explanation was that it may have hit the people. But then they did not fire even after the assassins went outside the church. Furthermore there were no attempts by the body guards after the firing to take Pararajasingham to the hospital. Finally Joseph was taken by a nephew in his car and Sugunam by a niece in her car to the hospital. Fellow parishioners helped carry them to the vehicles. Apart from the official bodyguards the surrounding area usually teems with security personnel. Additional men were deployed for Christmas. When people came to church before mass, the area was bristling with men. But when they returned after mass no one was seen. In fact security people re- appeared only after an hour or two. The intriguing conduct of the bodyguards as well as the mysterious disappearance of the security personnel along with the safe and easy passage enjoyed by the assassins reinforced suspicion clearly that the killing was an officially sanctioned unofficial execution. Subsequent events confirmed this further. Leaflets claiming credit in the name of a hitherto unknown ‘Sennan Force’ were widely distributed in Batticaloa. A stack of leaflets were thrown at the front door of the Pararajasingham residence too. It was widely suspected that the security forces were distributing the leaflets. A second wave of leaflets were distributed a few days later. An ominous warning in the leaflet was the threatening demand that all eastern TNA parliamentarians should resign or face the consequences. In another significant development many of the anti-Tiger media abroad commenced a vilification campaign against Joseph. This was in typical Tiger style but only the roles were reversed. Thus ended the life of Joseph Pararajasingham. Given the circumstances of his assassination it was the state which stood in the dock then. The TMVP or Karuna faction was only an instrument of death. 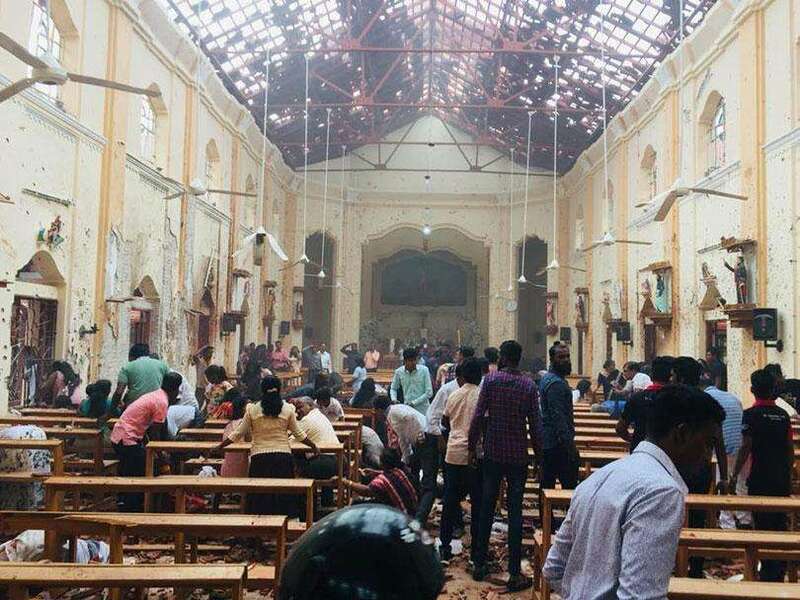 The brutal manner of Joseph Pararajasingham being killed in the church after partaking of communion within full view of the congregation in the presence of the Batticaloa Bishop suggests the depths of depravity to which the assassins had sunk into. The mortal remains of Joseph Pararajasingham were laid to rest at the family plot in Batticaloa’s Aalaiyadicholai burial grounds on Thursday, December 29 2005. The body lay in state at the Subharaj theatre owned by the family, for the Batticaloa public to pay their respects. The funeral was held at the family residence on Lady Manning Drive. The body was then taken in procession to the cemetery for the final farewell. It was indeed heart-wrenching according to those present to see Sugunam Pararajasingham sobbing unconsolably. The Pararajasinghams were to celebrate their golden wedding anniversary in 2006. Sugunam who was still receiving treatment for her injuries had only been told on the day of the funeral that her husband of 49 years was no more. Their daughter and two sons along with other relatives tried their best to console the grieving widow. Sugunam Joseph now lives in Toronto with her daughter. If Pararajasingham was killed at night within church premises in 2005 his younger TNA colleague Nadarajah Raviraj was murdered during day on the streets in 2006. The Tamil National Alliance MP from Jaffna district and his bodyguard Sgt. Lakshman Lokuwella from Gampaha were both shot dead in broad daylight at about 8. 39 a.m. in Colombo.The shooting occurred close to Raviraj’s residence in Manningtown, Narahenpita.The spot where the shooting occurred was in close proximity to the Telecommunications Regulatory Authority and the Registrar of Motor Vehicles Department. The Jaffna MP had returned home after a discussion – interview on “Derana” TV from 7. 00 am – 7.30 am. He had quickly changed clothes, eaten breakfast and started out again to his law office. Raviraj a lawyer by profession had his own law firm- “Raviraj and Associates”.Though the MP had his own driver the man was on leave. The driver had requested a further extension of leave a few days before the killing. According to Raviraj’s brother-in-law the MP had then told the driver good – humouredly - “Even if I die you can have your leave”. The TNA Parliamentarian had first tried to use his wife’s car but finding the battery had run down chose to use his own vehicle. Raviraj had asked his bodyguard Sgt. Lakshman a native of Gampaha to get in and climbed into the drivers seat. The Toyota Landcruiser Prado bearing the No WP KE 1279 was then slowly driven along Martha road by Raviraj. The vehicle was turning into Elvitigala Mawatta when a motor cycle numbered JE 3507 came near from the opposite side.Two men with helmets were on it. One got down from the pillion , removed his helmet , went across and stood on the pavement . He had a shoulder bag.Raviraj’s vehicle was cruising along very slowly when the man tore apart the bag he was carrying and started firing. The weapon was a T – 56. The assassin did not pull the gun out but fired while it was yet inside the bag. The assassin fired away at point blank range on Raviraj’s vehicle from the front, side and rear. An entire magazine was exhausted in the firing. He then ran quickly and climbed on to the motor cycle pillion again. The assassins had then turned into Martha road and sped away. The bag containing the T – 56 as well as the helmet of one rider were found on the side of the road later. Police also said that a three – wheeler parked close to the spot had also driven away after the shooting. It was suspected that the three – wheeler driver was a “look – out” for the assassins and had tipped them off by mobile telephone about Raviraj’ s vehicle approaching. This however was not to be. None of the killers of Pararajasingham or Raviraj were brought to justice during the days of Rajapaksa rule. Like many acts of omission and commission under the Rajapaksa regime the unlawful killings of Joseph Pararajasingham and Nadarajah Raviraj have come under the Geneva spotlight. The report compiled by the The Office of the United Nations Human Rights Commissioner Investigation on Sri Lanka(OISL) report has documented a number of cases of targeted killings of politicians during the period designated under the UN probe terms of reference. Among the cases highlighted are the killings of Lakshman Kadirgamar (Foreign minister), D.M. Dassanayake (Minister of Nation Building), Jeyaraj Fernandopulle (Minister of Highways and Road Development), Joseph Pararajasingham (TNA MP) Nadarajah Raviraj (TNA MP) and Thiyagarajah Maheswaran (UNP MP). Noting that in most cases, the victims were Tamils, the OISL report goes on to say that – “On the basis of the information obtained by the OISL, there are reasonable grounds to believe that the killings of politicians were committed in some cases by the LTTE, and in others by the security forces, sometimes in collusion with paramilitary groups (or vice-versa)”. On 24 December 2005, Joseph Pararajasingham, an MP for the Tamil National Alliance (TNA) was shot dead while attending midnight mass at St Mary’s Church, Batticaloa. Eight other persons, including his wife, were injured in the attack. The church was located between military checkpoints, in a high-security area with a large presence of security forces. Pararajasingham was assigned police bodyguards by the Ministry of Defence, who were present with him at the time when he was killed but allegedly did not attempt to prevent the shooting or apprehend the killers. Just days before the attack, his usual bodyguards had been replaced. 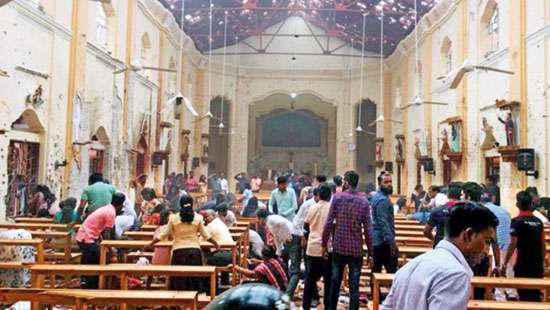 The victim was shot with nine bullets in the back and in the chest in front of a church full of worshippers and the Bishop from whom he had just received communion. Witnesses saw two perpetrators in civilian clothing with pistols. They shot and killed the victim while members of the congregation fell to the floor. They fired shot up into the roof to make way for their escape out into the yard where they proceeded to climb over a wall surrounding the church. There were numerous security guards, police officers and two police constables present during the incident. 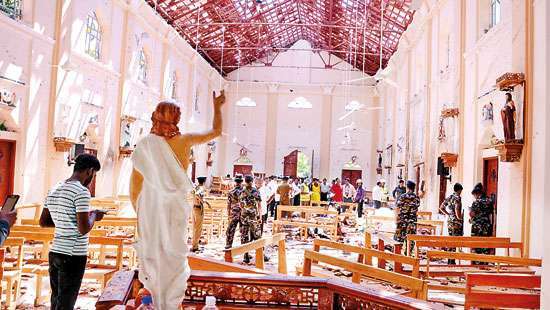 The assailants exited the church unchallenged,despite the fact that it was under police guard, and allegedly departed in a white van in the direction of a nearby army camp. Joseph Pararajasingham had declined to support Karuna after his split from the LTTE and had previously been threatened by members of the Karuna group. Family members of the victim suffered further threats after the attack and fled the country. OISL considers that, based on the information obtained, there are reasonable grounds to believe that the Karuna Group killed Joseph Pararajasingham, and that it was aided and abetted by security and army personnel. Initial police investigations identified and detained two suspects from the armed forces. A separate Presidential Commission headed by Retired Judge of the High Court Mahanama Tilakaratne was appointed to look into the killing in April 2006. In its final report of March 2007, also unpublished but reviewed by OISL, the Commission concluded that it could be a political crime, and blamed the CID for investigations that were “inadequate, and contrary to procedure established by law”, partly because in the absence of evidence they had arrested two soldiers who were subsequently not identified at an identification parade. Government sources informed OISL in August 2015 that CID officers had visited Batticaloa in December 2014 to conduct further investigations, and that investigations “have been reactivated recently”. On 10 November 2006, Nadarajah Raviraj, a human rights lawyer and MP for the Tamil National Alliance (TNA), was shot dead on a main road in Colombo by an assailant on a motorbike. The attack took place near a Security Force base on a stretch of road between police checkpoints. Nadarajah Raviraj was widely known for his moderate views and critical statements of both the LTTE and the Government, particularly in the weeks leading up to his murder. Along with other parliamentarians he had set up the Civilian Monitoring Committee, which alleged the Government was responsible for abductions, enforced disappearances and unlawful killings. The day before he was killed, Raviraj and other TNA parliamentarians took part in a demonstration in front of the UN offices in Colombo to protest against the killing of Tamil civilians by the military in the East and the increasing abductions and extrajudicial killings. The Raviraj case was among the high profile killings within the mandate of the Udalagama Commission of Inquiry. However, the unreleased Commission material to which OISL has access shows that Raviraj’s murder was not investigated by the Commission due to lack of time. The IPU has expressed deep concern that in relation to both the murders of Pararajasingham and Raviraj, no progress has been made in the investigations, ”in which sources have from outset pointed to the possible involvement of paramilitary forces.